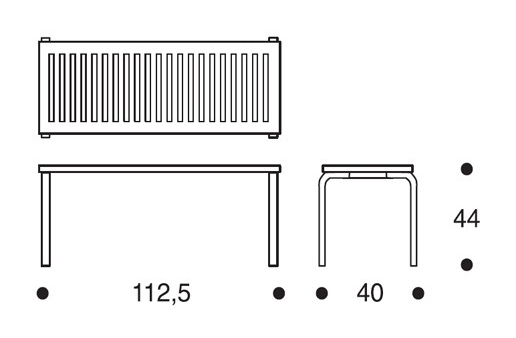 ARTEK BENCH 153A. Coating and legs options: natural lacquered, white or black lacquered. Legs and top of birch.